This contest is now closed. Check back in February 2020! 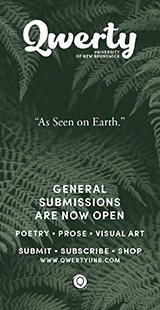 The Malahat Review, Canada’s premier literary magazine, invites emerging poets from Canada, the United States, and elsewhere to enter the Far Horizons Award for Poetry. Eligible poets have yet to publish their poetry in book form (a book of poetry is defined to have a length of 48 pages or more). One prize of $1000 (CAD) is awarded. Poets contributing to The Malahat Review have won or been nominated for National Magazine Awards for Poetry and the Pushcart Prize. This year's judge is Carolyn Smart. Read an interview with her to find out what she's looking for in a winning poem. 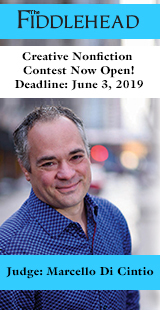 The deadline for the Far Horizons Award for Poetry was extended to May 8, 2018 at midnight, PST (postmark date). Read about Yusuf Saadi, our 2016 winner. 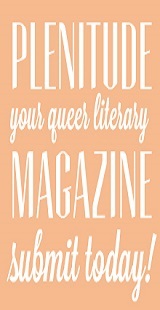 Emerging poets may enter up to three poems per entry. Each poem may not exceed 60 lines, excluding spaces between stanzas. No restrictions as to subject matter or aesthetic approach apply. Entrants submitting more than one entry receive a one-year subscription for the first entry only. One entry consists of 1-3 poems. 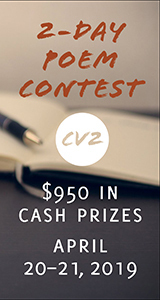 A second entry will be 3-6 poems, a third entry 7-9 poems, etc. Each entry after the first is $15 CAD. Writers who have self-published a book of poetry are considered to have published their poetry in book form and are therefore ineligible to enter the Far Horizons Awards. You are, however, welcome to enter your work in our Open Season Awards. Entrants’ anonymity is preserved throughout the judging. Contact information (including an email address) should not appear on the submission, but on a separate page that also lists the title of each enclosed poem. When submitting by email, please ensure you include a cover letter with relevant contact details (more below under Enter by Email); do not simply put this information in the body of the email. We also ask that no personal or contact information is written anywhere on the poems themselves! Entrants will not be notified separately by letter about the judges’ decisions even if a SASE is included for this purpose. Only the winning entry will be published in The Malahat Review’s Winter 2018 issue. 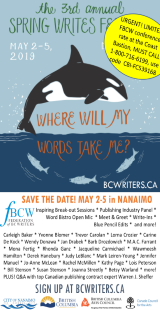 The winner will be announced on The Malahat's website, Facebook page, and Twitter account in July 2018. The winner will be interviewed by a Malahat volunteer. The interview will appear on our website and in Malahat lite, the magazine’s monthly e-newsletter, in September 2018. The subject line must contain the entrant's full name and method of payment. e.g., "John Smith cheque" or "Jane Tucker credit online" or "Jane Doe credit mail-in"
A single cover sheet is best, even if additional entries are submitted (please list all poems on the same cover sheet). When submitting via PDF, please do not submit all poems in a single PDF document, as it is not possible for our office to separate out each individual poem. You can pay online, or mail your payment with your entry. Please try and submit payment the same day as you send in your online entries. Please enclose your receipt with your contest entry so we can identify your online payment. By Cheque or Money Order: Enclose a cheque or money order, made out to The Malahat Review, in Canadian or US funds with your entry. By Credit Card: Complete our Credit Card Payment Form and enclose it with your entry.